WASHINGTON — A Democratic lawmaker from Rhode Island is seeking to block the U.S. sale of Lockheed Martin-made F-35 fighter jets to Turkey over an attack on protesters outside the Turkish ambassador's residence in Washington two months ago. Rep. David Cicilline, a member of the Foreign Affairs Committee, has proposed the ban as an amendment to the 2018 National Defense Authorization Act, which was passed by the House Armed Services Committee last month. The House is expected to take up the bill and deal with amendments next week. The House Rules Committee had reported more than 90 proposed amendments on various topics as of Friday morning. The panel plans to vote on whether to allow floor consideration of the individual amendments Wednesday. Any approved amendments would then need House approval to join the bill, which would have to be reconciled with the Senate version after it passes the House. The amendment highlights the complicated U.S. relationship with Turkey, a key NATO ally and home to Incirlik Air Base. President Recep Tayyip Erdogan has criticized Washington over its support for Kurdish groups fighting the Islamic State that Ankara considers terrorist organizations. The Trump administration has walked a tightrope, generally praising Turkey, despite widespread criticism Turkey has become more authoritarian following a coup attempt late last year. Turkey plans to purchase more than 100 of the F-35A conventional take-off and landing variant. The country expects to receive its first F-35 in 2018. Like other partners in the program, Turkey plays a role in the F-35 industrial base, including its responsibility to build an engine maintenance facility that will service European operators of the stealth fighter. Cicilline's proposed amendment would effectively bar the transfer of the jets to Turkey until U.S. President Donald Trump certifies the government of Turkey is cooperating with the criminal investigation and prosecution of Turkish government employees involved in the the May 16 attacks. Law enforcement officials announced charges last month against a dozen members of the Turkish president's security detail after they were reportedly caught on video beating protesters during Erdogan's visit here. The proposed amendment was one of three that hits back at Turkey over the incident. Rep. Dave Trott, R-Mich., has proposed a "sense of Congress" amendment disapproving of a proposed $1.2 million sale of Sig Sauer-made semi-automatic handguns to Turkey. Trott had spearheaded a letter along similar lines that attracted 36 signatures, including the Intelligence Committee Chairman Devin Nunes, R-Calif., and ranking member Adam Schiff, D-Calif. Democratic Sens. Ben Cardin of Maryland and Jeanne Shaheen of New Hampshire reportedly support placing the gun deal on hold. Rep. Don Beyer, D-Va., has proposed a visa ban on those involved in the attack and that the administration report on the incident and what the State Department is doing by way of victim compensation and fixing security lapses. Lockheed Martin was aware before the amendment was published of emerging congressional concerns about F-35 sales to Turkey and closely watching for developments. During an interview at the Paris Air Show last month, Orlando Carvalho, Lockheed's vice president of aeronautics, told Defense News that the company will stick to the current program of record until told otherwise. "Members obviously have the freedom to express the concerns that they have, but obviously, that becomes a matter that has to be addressed between Congress and the Department of Defense," he said. "So while we're aware of it, we're not taking any specific action. We're continuing to execute the program of record. And we'll continue to do so unless we receive formal direction from our customer, from the Department of Defense and the [Joint Program Office] to do something different." Turkey is slated to get its first F-35s as part of the 12th lot of aircraft. Lockheed and the Defense Department hope to come to an agreement on lot 11 this year, and batches 12 through 14 are currently under negotiation as a block buy for international customers. 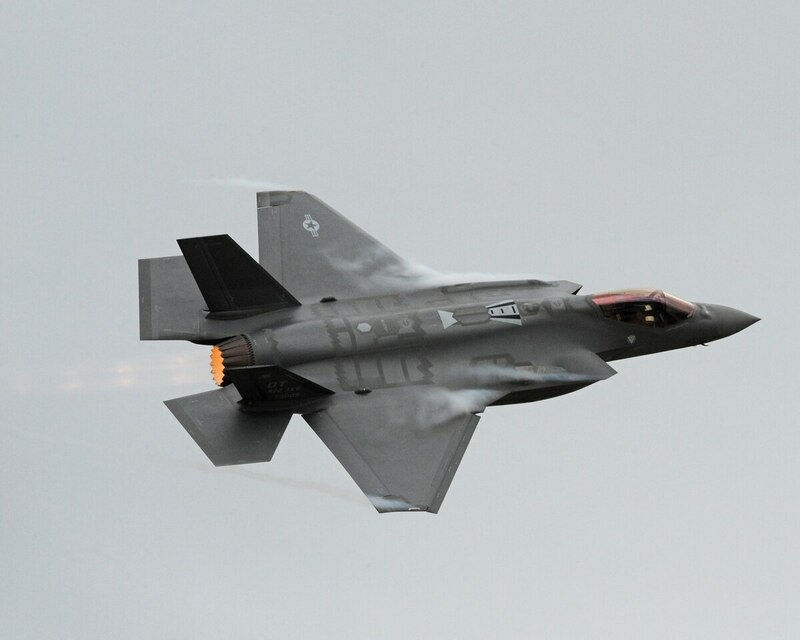 At the Paris Air Show, Jeff Babione, Lockheed's F-35 program manager, noted that Turkey plays a "significant" role in the production of all F-35 aircraft. As a subcontractor to Northrop Grumman, Turkish defense companies, including its largest firm, Turkish Aerospace Industries, manufacture a large portion of the center fuselage. Carvalho maintained that despite the political turmoil in Turkey, F-35 suppliers and related intellectual property in the country remain safe. "To date, we haven't seen anything that is markedly different in the places where we operate, from a security point of view, whether it's people's safety and security, cybersecurity, whatever, we haven't seen anything that has been markedly different," he said. "If the United States changes its policy with regards to Turkey, then clearly we'd have to work with our customer to then determine what actions would have to be taken in response for that."